Better Call Saul: Jesse Pinkman Coming in Season Two? Will Jesse Pinkman appear in this season of Better Call Saul? During a Reddit AMA last week, Aaron Paul teased the possibility of his Breaking Bad character making a cameo on the AMC spin-off series. Better Call Saul is currently in its second season. Yeah of course! I’m such a huge fan of Better Call Saul, and of course everyone behind the show. So, who knows? … maybe I already shot it? … it might be airing this season? Does that mean he’ll be in this season? Hard to say. Earlier, we posted an interview with Better Call Saul writer and director Thomas Schnauz where he said they do have plans to integrate more Breaking Bad cameos. Guess we’ll have to wait and see. What do you think? Do you watch Better Call Saul? Would you like to see Jesse appear this season? 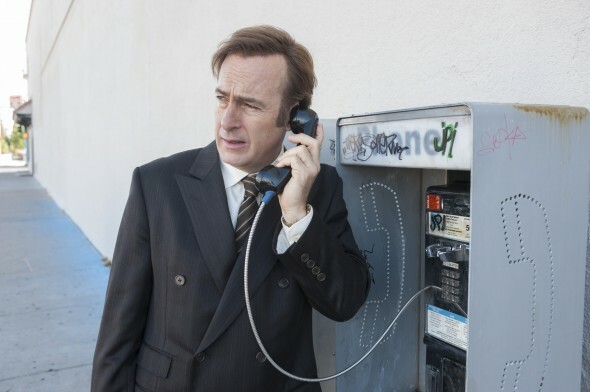 More about: AMC TV shows: canceled or renewed?, Better Call Saul, Better Call Saul: canceled or renewed?, Breaking Bad, Breaking Bad: canceled or renewed? Better Call Saul: Is Aaron Paul in Season Three of the AMC Series? Better Call Saul: Which Breaking Bad Characters Should Return?